FINE GAEL’S JOHN McNulty has withdrawn from the Seanad by-election following a week-long controversy over his appointment to the board of the Irish Museum of Modern Art (IMMA). In a statement released this afternoon, McNulty said that he had informed the Taoiseach of his desire to withdraw his name from consideration by TDs and Senators in the by-election. “I am taking this decision because I believe that to contest the election would be an ongoing distraction from the critical work of Government which is to secure Ireland’s recovery through job creation and increased investment,” McNulty said. It follows the controversy over the Donegal shop manager’s appointment to the board of the Irish Museum of Modern Art (IMMA) six days before he was selected as Fine Gael’s nominee for the upper house. 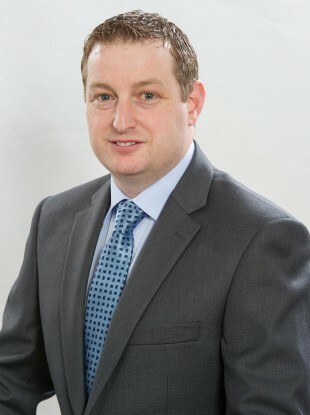 McNulty’s name remains on the by-election ballot paper – as the only government candidate – but he has asked that TDs and Senators not vote for him. McNulty’s resignation is a disaster for government, means it can’t restore its majority in the Seanad. Other candidates in the race are independent Gerard Craughwell and Sinn Féin’s Catherine Seeley. The result of the by-election is expected on 10 October. Speaking to TheJournal.ie this afternoon Craughwell, who many believe could now be the favourite to win the Seanad seat vacated by Deirdre Clune, said he had texted government TDs outlining his position. “[If elected] I am not going in there to trip government up, they have nothing to fear from me. If there is something I don’t like I expect them to talk to me. If they are trying to run legislation through I’d expect to be consulted on it,” he said. He added that McNulty’s decision was “an extremely honourable thing for the guy to do”. In the Dáil, Taoiseach Enda Kenny confirmed McNulty’s withdrawal, saying that the controversy had been “the source of great pressure and from that point of view he [McNulty] has requested formally that Oireachtas members would not vote for him”. Kenny said that as Taoiseach and president of the Fine Gael party the process of selecting McNulty “was beneath our standard”. “It is not worth of winning a seat in these circumstances and John McNulty himself recognises because of the standards that were set,” Kenny told TDs. I have informed the Taoiseach that under the circumstances, I am withdrawing my name and asking the Members of the Oireachtas not to vote for me in the upcoming Seanad bye-election. I would like to thank the many members of the Oireachtas who already expressed their support for me. I am taking this decision because I believe that to contest the election would be an ongoing distraction from the critical work of Government which is to secure Ireland’s recovery through job creation and increased investment. I believe the Government’s economic plan is working and the country is now moving in the right direction. This is what all members of Government should be focussed on at all times. It was my hope, if elected, to support the Government’s work in this regard as a member of the Oireachtas and now it is my intention to seek a Party nomination to contest the next General Election. Fianna Fáil’s Micheál Martin said McNulty’s withdrawal ”illustrates more than anything else the debacle which you and the minister [Arts Minister Heather Humphreys] plunged him into and the entire process”. Email “GONE: John McNulty has withdrawn from the Seanad by-election”. Feedback on “GONE: John McNulty has withdrawn from the Seanad by-election”.